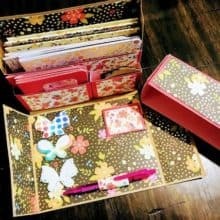 Finding this DeedersCraftyCorner Handmade Paper Stationery Gift Box available for enhancing our letter writing nook is a delight! I’m trying to figure out what exactly is being used for the cardboard construction of it. Cereal box? Possibly? Along with puzzles (which I was sharing about in my post yesterday); today I’ve been looking at butterflies. 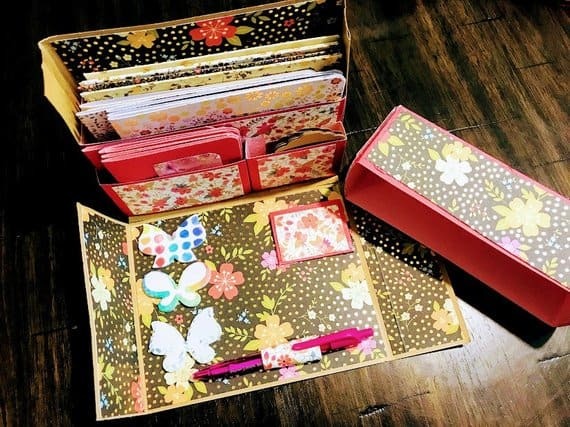 I’m happy to see this handmade item with butterflies and letter writing stationery theme! 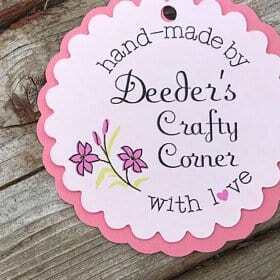 It is by the DeedersCraftyCorner Etsy shop out of Moncton, Canada. There are 6 each of note cards and matching envelopes; little note cards; and gift tags. Furthermore, the entire details are here. At some point, I will have to do a reveal of my butterfly and puzzle mini-project! In the meantime, today finds us looking at the last week of August. This means to borrow a typing expression, if you took typing in class, I know you can recite it, “Now is the time for all good…” Now is the time to make the last dash to the finish line for summer projects! Here’s to a GREAT week ahead! Join me tomorrow as we kick off the new week here at AnchoredScraps.